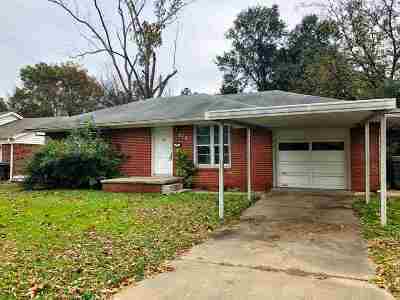 2 bedroom starter home or possible rental property in an established NW neighborhood. Just walking distance to Charles Evans Elementary School. This home offers a fenced back yard with covered patio area and carport. The partially converted garage offers additional space that could be a third bedroom or second living area. It also has a small storage area in the front of the garage area.